I’m excited and honored to be a guest speaker for Susan’s wonderful blog. I love Tuesday Tips and that email is the first one I open on Tuesdays! As a life coach, something I am asked a lot about is finding time…. men never seem to bring this up, but women do, all the time. Not so much to find the time to get things done, because we do that, anyway, right? I’m talking about time for self-care. 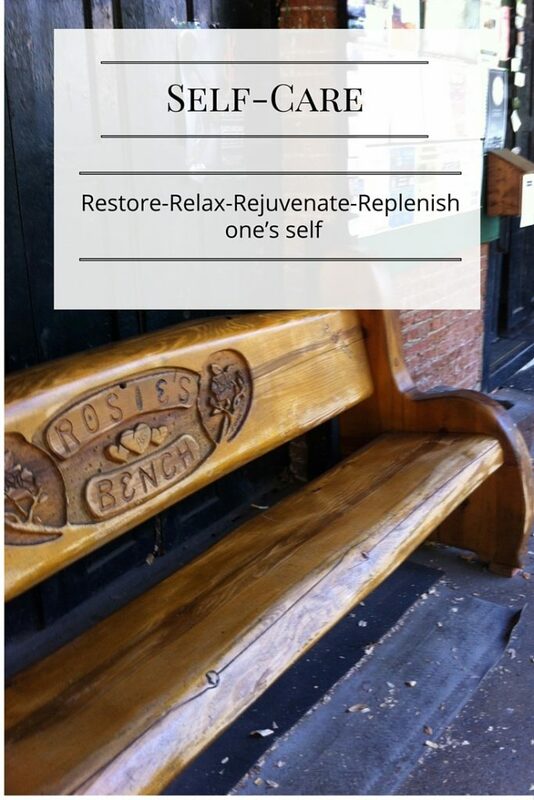 That is, Restore-Relax-Rejuvenate-Replenish one’s self. 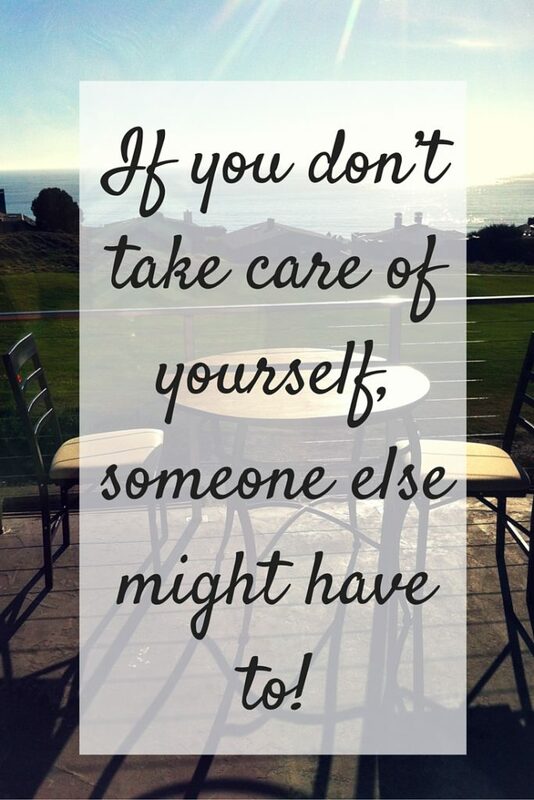 If you don’t take care of yourself, someone else might have to! Last year, I promoted something I called The Great Retreat, both in the U.S., and internationally. On a certain day, people in all sorts of locations stopped and took time for themselves. For some, it was a few minutes, a half hour, half day, all day, whatever they wanted to do. I gave them ideas and some suggestions. I will tell you that a few people thought it was a dumb idea (go figure) while others thought it was one of the best ideas they had heard of. Yet another friend in Norway said she had not heard of the concept, yet she promoted it for me to her community. READY TO TAKE SOME TIME? If you aren’t taking time now for yourself, please begin. Nothing fancy is required, and not even money. 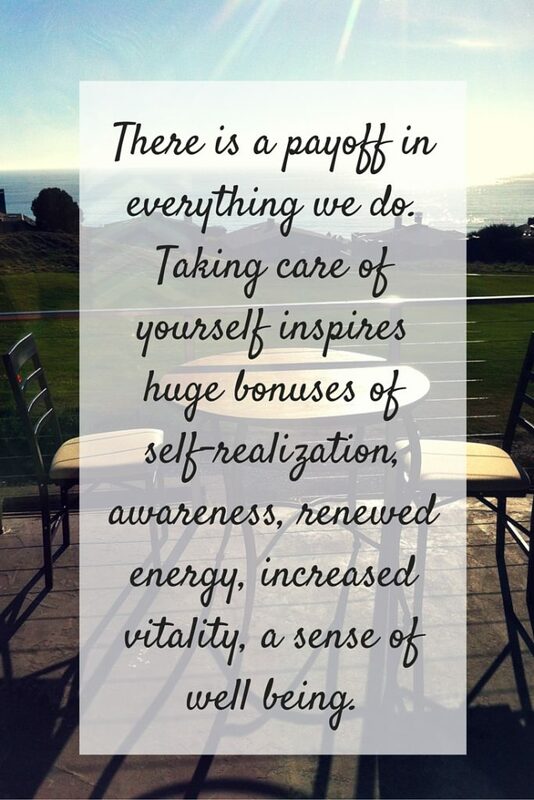 There is a payoff in everything we do. Taking care of yourself inspires huge bonuses of self-realization, awareness, renewed energy, increased vitality, a sense of well-being. Remember: This talk can be a 14-minute retreat! This books will help you find the time to retreat, decide whether to retreat at home, away, or with others, separate from daily concerns, and reenter daily life renewed. 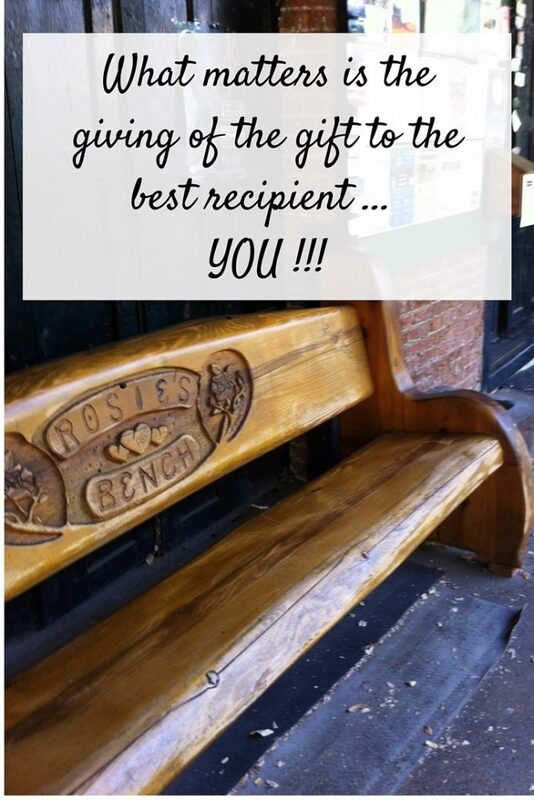 What matters is the giving of the gift to the best recipient I know: YOU. Start today. Start small, if you wish, but…START. 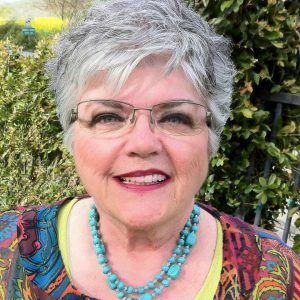 Sandy is a certified life coach and lives and works in the San Francisco Bay Area. She facilitates a SoulCollage© group as well and is a trained Law of Attraction instructor. Thank you Sandy Dear for this wonderful post. Susan & Sandy, GREATBLOG post!! This is something I feel strongly about too!! I am a firm believer in taking care of yourself so that you can take care for others!! Thanks for sharing!! Hugzz!! Self care is such an important topic. I’m almost shocked by anyone who is not familiar with the concept! But it was just a short time ago that many of us weren’t familiar with that concept either – I remember being a young mother and feeling like I would never have time for myself again, and not even considering asking for some ‘me’ time from my husband. Fortunately, times have changed! !